Penny Skateboards has teamed up with legendary skater Tony Hawk for limited edition collection. 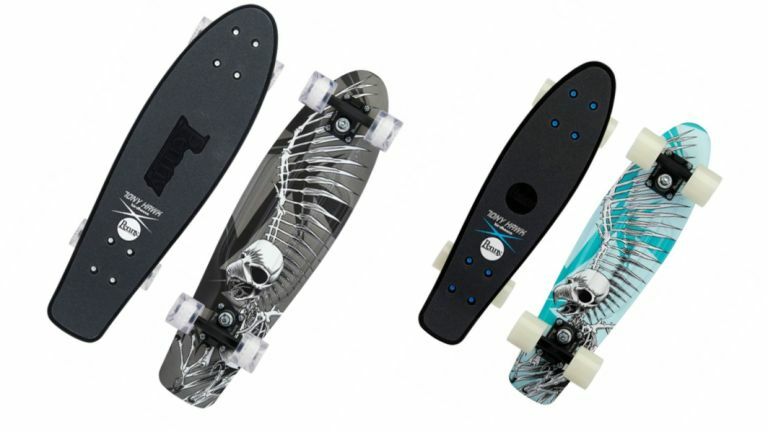 The collection consists of two boards, one 22-inch deck and one 27-inch deck, both are manufactured form Penny's premium flex plastic formula, and feature classic Full Skull graphics. The top of the deck includes black griptape and the trademark Tony Hawk x Penny Skateboards collection screenprint for authenticity. Tony Hawk said, “My first skateboard was a small fiberglass board when I was 9-years-old. Penny Skateboards have always felt nostalgic to me and remind me of when I first discovered my passion for skating. The two boards are available now at Penny's website and select retailers, with prices starting at £119.99. A portion of proceeds from the collection will go to The Tony Hawk Foundation, which aids in funding and building skateparks in low-income communities.